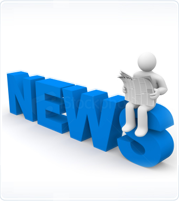 Find the latest Group Insurance News Articles below, sorted by date. You can also use the search facility above to search for specific subjects. In the UK, Aviva has secured an exclusive five-year deal with Tesco Bank, the banking arm of the retail group, to provide protection-related life products for its UK retail customers. Bengrip's study reveals that Dutch consumers are open to innovative sales channels for insurance. AXA now offers both business and private insurance through business associations in Germany. Dutch study confirms: SME Insurance offering needs to be targeted to specific segments. In Germany, ERV integrates travel cover into caesar-data hotel booking system.